John R. Allen, former commander of International Security Assistance Force and U.S. Forces—Afghanistan; James B. Cunningham, for U.S. ambassador to Afghanistan; and Mary Beth Long, former assistant secretary at the U.S. Department of Defense, join Marc Grossman, former special representative to Afghanistan and Pakistan at the U.S. Department of State, to assess the current situation in Afghanistan. The panelists analyze U.S. involvement in the country and offer policy options moving forward. GROSSMAN: Thank you all very much for coming today. This was a postponed meeting from one of the snow days. So we’re glad you all continue to come out. I wanted to just, as these meetings go, highlight a couple of rules. I know we’re, first of all, on the record. Secondly, I hope everybody has turned their cellphones off, off, off—not just to stun, but off. And third, we will have a conversation among ourselves for about 45 minutes, and then close to 1:15 I’ll be very glad to open this conversation up to questions from members. As you know, this is a special event. It’s an event sponsored by HBO called the Home Box Office What to Do About Series. And as you can imagine, on behalf of the Council on Foreign Relations, I’d like to thank Richard Pleffner and HBO for what’s really been a very generous support of this series. It’s for me, obviously, to welcome our three extraordinary panelists. You have their bios, so I won’t go through them. But as you can see, each person on this stage has had considerable experience with Afghanistan, in Afghanistan, working on it in the government. And I think, very interestingly, continues that connection to Afghanistan today. The final thing that I would like to say before we start, is that I think we ought to just take one moment and pay tribute to the diplomats, the military forces, the United States and allied, who are serving in Afghanistan today. I think we sometimes jump right to the conversation. And agree, disagree, think what you will about the policy, I think it’s worth remembering the people who are serving there today. So I’d like to start with a question I thought that should be easy to answer, but in fact’s very hard. And that is, what’s the situation in Afghanistan today? And I went back and just easily took some headlines from the first of the year. 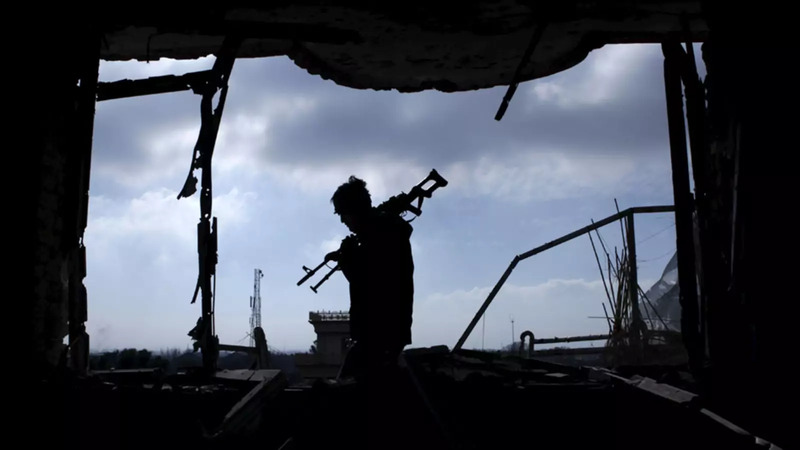 The security situation in Helmand province further deteriorated this past month, Afghan security forces withdrew from two districts in the north in order to reinforce the Kajaki Dam, Sangin and the provincial capital Lashkar Gah. Over 350 U.S. Marines are currently deployed in Helmand. In the North, in late January, Taliban fighters cut transmission lines to hydroelectric generators in Uzbekistan, which caused weeks of blackouts of electricity in Kabul, and spurred protests against the government. U.S. airstrikes on Taliban positions permitted repair crews to restore Kabul’s electricity. In the east, in Nangarhar, coalition airstrikes continued against the Islamic State and Khorasan Province, ISKP, the local ISIL affiliate. And between 1,000 and 3,000 militants have affiliated with ISKP in the region, according to a spokesperson for U.S. forces in Afghanistan. President Ghani and CEO Abdullah Abdullah agreed this week to nominate a new minister of the interior, a new attorney general. Both appointments require parliamentary approval, and everybody in this room knows how hard that has been. And Afghans are scheduled to go to the polls for parliamentary elections in October. I saw that there was a meeting of this quadrilateral coordination group, renewed pressure by Pakistan on Taliban leaders, and perhaps a conversation between the government of Afghanistan and the Taliban in the coming weeks. General Nicholson formally takes over for General Campbell as the commander of U.S. forces in Afghanistan on March 2. Ten thousand U.S. forces, 6,000 NATO forces, remain in Afghanistan. The special investigator—the special inspector for Afghanistan report last week, the United States has spent a similar amount of money on reconstruction in Afghanistan as we did in rebuilding Europe after World War II, up now to $113 billion. And the question is, half-full, half-empty? Because everyone in this room also knows that life has changed for millions of people in Afghanistan, for the better, that the ANSF still fights, that international commitments hold, that revenue is up, corruption is being fought. So, half-full or half-empty? ALLEN: Thank you for—can you all hear me OK? Good. Well, I’m not sure you can say it’s half-full or half-empty. I have traditionally, if I could find a molecule of water in the bottom of the glass, it has half-full from my perspective. I think we are—we shouldn’t be surprised. We shouldn’t be accepting, but we shouldn’t be surprised at the fact that the Taliban are coming at us hard. They’re going to try in every way they can to unsettle the work that has been done now for 15 years to stabilize the country, to create capacity in terms of governance, the development of the economy, and in particular the Afghan national security forces. They’re going to try to come hard at the government now because they perceive that we are in the final throes of our obligation and our commitment to Afghanistan. And we’ll probably touch this later, and I’ll have some recommendations, conceivably, on where we ought to go on that. But I also think it’s important that we recognize that we are, in a way, where we were in ’13 and ’14, where the Afghans were deeply concerned about the appearance of our commitment and the reality of our commitment. They were concerned that as we get smaller and the timeline for our largely complete departure approaches, that the security situation, which is deteriorating, will continue to deteriorate at an even greater rate. So we have to think about that. We have to think about what the effect is of that potential date for the departure of our forces, and moving it ultimately to a security assistance unit, as opposed to the advisers that we have today (and the smaller troop numbers ? ), and the effect it’ll have on the confidence for governance. Certainly, we are seeing difficulties in the economy, because Afghans are very concerned about the future. And that needs to be part of our consideration as well. And I’ll have some thoughts on how we might arrest that drop and how we might arrest the commitment as we go along. GROSSMAN: Good. Thank you. Mary Beth. LONG: Well, certainly we’re not on a path to success. And I would posit the proposition that, as the Taliban and ISIS and the HIG and others have increased their presence and their lethality, our failure to have a plan and a strategy, and the opaque nature of whatever it is we’re doing there, and our lack of commitment to maintain and sustain the capabilities that we need to help the Afghans has had as much to do with the deteriorating situation in the security sector as anything else. Frankly, we are largely responsible for where we are and our lack of commitments. And while we tend to look at this from 2012 on, or 2014 on, either as a government official or in a commercial capacity, I and my company have maintained a presence in Afghanistan, almost without interruption, since 2004. And as late as 2011—I’ll give you some anecdotes—you could walk down the streets. I would often leave the hotel, go over to the MOI, go shopping down on Chicken Street, for those of you who are familiar, take my investor out into provinces where we would almost invariably be invited to attend a Shura of the council or the leaders of the community. We would go to Kandahar, walk around Heart, visit stores, visit commanders, talk to Afghans. Probably around 2012 it started getting dicey. Today, our own military doesn’t allow the contracting officers who are stationed at ISAF headquarters to go the three or four blocks down to U.S. 4A in order to meet our embedded advisers, some of the most important people, as far as availability of information and intelligence of what’s going on in Afghanistan, without getting in a helicopter and flying the three or four blocks, and coming down. That’s our own representatives from the contracting office of the military. Similarly, you can’t drive from the airport to Kabul. You are force to take a helicopter. What I worry a little bit about is, everyone’s heard the frog in the water, we’re the frog. And while we can tinker at numbers of troops, we can tinker at numbers of provinces that are either controlled or being threatened by the Taliban and ISIS, the fact of the matter is since at least 2009, 2011, the security situation and the social situation has significantly deteriorated. And there doesn’t seem to be a willingness to plan, strategize, and commit for any demonstrable change in that. And that is my concern. GROSSMAN: Mary Beth, would you say that the sort of opaque nature of what we’re doing, the policy, you’d apply that equally to people in the United States, the American public and the Afghan public? LONG: I do, but I think the American public, particularly on these kinds of issues, has demonstrated a willingness to commit—we like to commit our defense and our forces towards success and victory. And I think that you—the recent polling shows that Americans don’t want to commit resources if they’re not going to win a fight, and that there’s a certain amount of frustration there for if we’re going to be there, what exactly are we doing, and to what end? GROSSMAN: And how about to the Afghan public? LONG: I think the Afghan public, certainly through 2012 when I would talk to Afghans on the street, were extremely optimistic, a little frustrated, really unclear about what our commitment was, really wanted to hear commitment. I think now they have—some of them are wavering because they’re not sure what we’re doing there, how long we’re going to stay, and what we intend to leave in place as we depart. And it’s reverberating at all levels. GROSSMAN: And you’d agree with that? ALLEN: I would. I’ve spent a lot of time with now President Ghani when I was the commander. We talked quite extensively about the inherent requirement for us to transition Afghanistan from the security-based environment to a stability-based environment. We had to. And inherent in that conversation was the residual Western presence, U.S. and NATO presence, to facilitate that because, as he would have said and I would certainly continue to say, we’re in the first administration in the aftermath of the Hamid Karzai regime. It’s the first democratically administered—or, elected administration. Giving that administration the capacity through a security platform to get its capabilities up under it to continue the process of capacity-building at the ministerial level, to give it the ability to effect governance while we’re perfecting government, is really important. As well, we don’t really know what the economy of Afghanistan looks like, because it’s only emerging now from years and years of distortion as a result of the wars. And so the transition to a stability-based strategy relies upon the kind of security platform that only the ANSF can provide to them. That platform can only be effected by the kind of Western presence that we must keep in Afghanistan to permit that to happen. GROSSMAN: Jim, I’d like you to comment, if you could, about the sort of—what’s the state of play there? And then if you’d transition a little bit, just following on John’s comments about the government, this national unity government, you know, how is it functioning? Everybody here has had a chance—you know, you know Abdullah Abdullah, you know Ashraf Ghani. But what’s happening in that government? And look ahead a little to the elections in October. CUNNINGHAM: First, let me say that while I wish it were otherwise, we shouldn’t be surprised at how things have evolved in Afghanistan. The Afghans—even under better circumstances, Afghanistan has been through three major transitions—a security transition, a political transition, and an economic transition—with a huge amount of uncertainty about how they were going to unfold, a great amount of uncertainty about the security situation after President Karzai declined to sign the bilateral security agreement to conclude that part of our partnership, and then the elections and the political process and the tensions that that caused. So for a space of a year and a half or two years, Afghanistan has been going through these really wrenching transitions that would drive any society to a situation of great difficulty. And on top of that, we knew and expected that after withdrawal and after the transfer from ISAF to resident support, that the Taliban would press very hard into the Afghans to see if they could break them. That was their plan. Their plan was: Get the Americans and everybody out of the field, we’ll go in and we will retake Kabul. Well, that didn’t happen. They didn’t succeed in what they had hoped to achieve militarily in 2015. And I think all the expectations are, since the fighting is continuing as we speak, there is no longer any kind of winter pause, that that situation will reoccur again in 2016. So I think there are two crucial issues that need to be addressed that both my colleagues have touched on, which is clarity about the intent of the U.S. purpose in Afghanistan. We called that into question by how we handled the question of the troop withdrawal. And while I applaud the president for taking the decision in October to maintain U.S. troop levels at a higher level than he had planned and not to complete the withdrawal by the end of this year, I wish, hoped, that he would have made that decision years ago, because that would have provided the strategic clarity that is necessary for Afghans and for the region, which we’ll discuss later. So we—for the first time, we now have a commitment without a timeline that there will be a significant U.S. military presence in Afghanistan. So that’s crucially important. That, then, impacts the other thing that needs to happen, which is we need to restore confidence among the Afghan people and confidence among our allies that we know what we’re doing and that what we’re doing can succeed. And at the same time, we need to use that confidence to send a message to the Taliban and others who are hedging in the region that there’s a new game here, and they can’t wait out for a solution on their terms, which is what they are hoping to do. GROSSMAN: But if I can interrupt you, though. I mean, confidence—showing confidence, it’s a two-way street. You know, one of the countries I think that is interesting about this national unity government, if you look at security, rule of law, press reforms, self-reliance. I mean, you think about Mary Beth’s investors, right? So the confidence has got to come back to us as well. Someone there has to say, yes, we’re going on a path towards self-reliance. Yes, we’re going to keep fighting. Yes, investors are safe. Yes, we understand the possibilities for us as well. So it’s not just us, I think it’s some kind of dialogue here about confidence. CUNNINGHAM: Absolutely. And even when I was still ambassador, and the time since, I’ve consistently told now President Ghani and the chief executive and my other interlocutors that this is a unique opportunity for Afghanistan and that they, the Afghans, hold the future of their country in their hands. We cannot make this happen if they won’t perform. So that comes to the question about the national unity government. So everybody knows it’s been struggling. That would be the case in any coalition government in any country in the world. And Afghanistan has no history of this kind of politics. We have two gentlemen who fought a very bitterly contested political campaign during the elections, and in the aftermath when the outcome was contested. And it was completely to be expected that they were going to have a hard time finding a way to turn that kind of political competition into political cooperation. So it’s taking a longer time than anybody wants, but they are slowly making process. They are slowly making a way ahead with an agenda. That’s going to continue to be difficult. And they acknowledge that, as well as do the people in the government. But at the end of the day, they have to continue to work together to make the Afghan government the kind of strategic partner that will earn the continued investment from the United States and the international community that’s on offer. GROSSMAN: Mary Beth, let me ask you, I mean, you talked about the anecdotes of, you know, you were out among people. And I think all of us had that experience as well. So if you’re an Afghan and you’re—let’s project ourselves a few months forward and you’re facing this election in October. I must say that—again, I don’t know, I’m just speculating here—but as Jim said, you know, two years ago, three years, whenever it was, and they voted twice, right? And they voted for change. And they voted for something important. And I would think if I was an Afghan today I’d say, am I really going to do that again? What will the outcome be? And do you sense that from—you know, when you visit there, when you talk to people, you know, what do they look at when they see their government? LONG: We have about 40 Afghan employees that we get to spend a lot of time with, sort of getting down to what their true feelings are. And I think, unfortunately, particularly outside of Kabul and in places where there’s a perception of having been abandoned by the West, Afghans have voted now, for them, not just twice, but many of them have voted since 2004, 2005, 2006. And there’s this idea that when NATO and the West was there in force, 2006, really 2008 being the golden years, I think, in most Afghans’ mind, that was when we had the most possibility for change. And what we’ve gotten after that is corruption, nepotism, a deteriorating security situation. We can’t find the Westerners to the extent they exist. Those of them who are local are in garrison. So there is a certain attractiveness to messaging that now the Taliban and ISIS, both of them competing, and al-Qaida—the Taliban in particular is extremely good at adapting its message toward—about Pashtunwali, and its credibility as far as a local, culturally respectful alternative to chaos. And at the end of the day it’s the chaotic situation—the thing about Afghans at this—they’re so resilient and so capable of enduring such hardship, that at the end of the it’s really, can I get my crop in, can I get my child to a school, can I feed my family? And the rest of it, you know, God will provide, because the government isn’t. And I don’t know how they’re going to bet. I believe they haven’t given up, but I think we’re on a brink of real skepticism and despair in some places. GROSSMAN: I want to leave plenty of time for policy recommendations, so that’s a great segue, John, if I could turn to you, to talk a little bit about the Taliban. You know, you find out that Mullah Omar has been dead for a while. Mullah Mansour is now in charge. You know, you read the papers. Each attack seems to be more and more horrific in terms of their terrorism. What’s the message? What’s the message to the people of Afghanistan? And very much, importantly, what’s the message to us? And then, you know, you have this quadrilateral meeting—China, the United States, Pakistan, Afghanistan. Is it possible to have a peace process with these people? And then, Jim, that brings the question to Pakistan. And I’d like to turn to you to bring them in as well. ALLEN: Well, I think the message is pretty clear. And that is that we, the Taliban, are going to be a feature in the future of Afghanistan one way or the other. If it’s not in a—on our terms within a peace process, it’s going to be on our terms in a military process. Again, as Jim said and as I said at the beginning, we should not be surprised that they’re coming at us hard. How long and how well the Afghan national security forces are able to continue to resist the Taliban attacks is going to be a function of our commitment. I’ve been an adviser. I’ve commanded forces that have been involved in widespread advisory duties. I see some faces out here of folks who were eye-deep in this with me. And I remember sometimes the near-despair of the Afghans that we were departing. And again, the president deserves credit for having made the decision to remove some of the timelines and leave us at about 9,800, plus our NATO partners. But, look, we’ve got—and I just came out of a position where I dealt with ISIL every single day, Daesh. We’ve got an operational environment that’s dramatically different than Afghanistan today than we had perceived it before. I really believe that it is time for us to take a completely holistic reappraisal of the operational environment, now that we have the Province of the Khorasan in completion with the Taliban, and the Taliban believing that they’re in unrestricted warfare or total war against the Afghan government—the intent being to knock it out in conjunction with our departure, ultimately to create conditions on the ground that favor the Taliban over the long term. We need to have a realistic, long-term appraisal of the entire operational environment, not just for security purposes, but the operational environment as it relates to our long-term strategy, which should include our military presence on the ground. GROSSMAN: OK, but if you’re—if you’re the chairman of the Taliban military committee, and you have a conversation among yourselves in some equivalent of whatever their policymaking forum is, you know, what are you saying to the other people on that council? ALLEN: Keep the pressure up. As long as we keep the pressure up and we can continue to defeat the Taliban we can sow despair—defeat the West, I’m sorry, the ANSF—we can sow despair amongst the Afghan people and we can convince the West that this is an investment that’s not worth making over time. We have to defeat that argument. We have to convince the Taliban—and it’s the old saying that we have the watch but they’ve got the time. We got to reverse that. We should be committed to the ANSF and Afghanistan and the government of the Islamic Republic of Afghanistan for decades, not necessarily in terms of large-scale military involvement, but we have been in other places where—Kosovo, for example, and the Sinai—where a long-term U.S. presence has had the effect of providing stability just by the presence, apart from the security improvements that we’ve made. This is the kind of investment we’re going to have to make if we don’t want Afghanistan to become once again a platform for attacks against the West and, in particular, the United States. GROSSMAN: Jim, I’m going to come to—I’m going to come to Pakistan in a minute. Mary Beth, do you think—do you think that a peace process, talking to the Taliban, some conversation with the Taliban, is part of the kind of policy that General Allen just outlined? LONG: With all due respect to my esteemed colleague, I take a somewhat different approach. I consider my approach more practical, but that’s because it’s mine. I think in theory, yes. But the fact of the matter is, if I were the Taliban, you can’t force a peace process on someone and a legitimate role in a political process unless they actually think that they can’t win the fight. And the fact of the matter is, they’re overwhelmingly winning the fight. And this, without having really consolidated themselves with al-Qaida in order to force the fight and give us even less opportunity to confront them. They know that this administration is—doesn’t have the political will or the capacity to do much about it. They know that even in the height of NATO’s involvement, NATO being present in a meaningful way in PRTs and elsewhere, that they were not able to do—to defeat the Taliban. The Taliban has taken unprecedented territorial gains. We now have the ability, at least to—through the Haqqani Network, to do even more between the Taliban and al-Qaida against the West. I’ve got my surrogate, no offense to Pakistan, actually is part of the four at the table, woo-hoo. I’ve got the second-highest ranking representative of the Taliban, a Haqqani operational expert, who is well-known and appreciated by Osama bin Laden himself because of his ties to al-Qaida. And they’re sitting at the table with China. That peace process is not going anywhere. It’s great because it will distract the West. And in the meantime, there’s no plan, no political will, and no possibility that there’s actually going to be an increased presence that’s really going to threaten me. I’m going to play that on the side, and march forward, taken even more territorial gains, and seriously threaten this government in Kabul, which will drive the West away. GROSSMAN: There’s a reason, obviously, that Afghanistan and Pakistan are often talked about in the same sentence. And, Jim, I know you’ve been thinking about this. I’d like to kind of hear your view on sort of how do they see this from Islamabad? And to go to Mary Beth’s point, you know, what’s in it for them? CUNNINGHAM: Well, to step back a second before I answer that question, because the question of Pakistan has to be seen in a context of what it is that we’re trying to achieve or that Afghanistan is trying to achieve. So the bottom-line strategic goal now, as both John and Mary Beth have focused on, is we have to convince the Taliban and the neighborhood that they are not going to prevail through a military and terror campaign. That’s the only way to get to a peace process that counts for anything. So there are—there are some in the Taliban who’ve already reached that conclusion. We know that. But by and large, they are still committed to the fight. And that’s very clear, and for obvious reasons. They are not overwhelmingly being victorious in the field. The Afghans are standing their ground in most parts of the country, most of the time. And you don’t see this in the headlines, but a lot of Taliban are dying in this conflict also, which is why some of them have already concluded that they’re not going to prevail on the battlefield. But that’s not the dominant view. So this is where the role of Pakistan becomes a vital part of this equation, and a huge conundrum for the region and for us. I think it’s very hard for me to conceive of bringing the Taliban seriously to the negotiating table, as long as they continue to enjoy freedom of action in Pakistan, and enjoy safe haven there. That’s just a fact of life. There are things that Pakistan can and should do to curtail that freedom of action. And we should be making—we, collectively, not just the United States but all of us—we tend to forget that there are more than 50 countries who are engaged in both the security operation and in the unprecedented international development assistance effort for Afghanistan. All of those countries have a stake in correcting this dynamic so that the Taliban are under pressure, both within Pakistan as well as within Afghanistan. And we have not been very effective about making that happen. That’s one of the things that I think we need to focus on now as a country. This is now part—if you’re looking at a strategy for what I call prevailing—not victory, but prevailing in this—finding a more effective way of dealing with Pakistan has to be part of that strategy. And the Pakistanis have suffered themselves greatly at the hands of terrorism. There’s no denying that fact. They have exerted a tremendous amount of effort, particularly in the last year and a half or two years in north Waziristan to try to deal with their own terrorism problem. But here’s the issue: As long as they continue to hedge, that problem is going to come back. It’s now a problem that exists on both sides of the border. And it’s worse now, because we now have the Daesh infestation as well. And dismissing that as rebranded Taliban doesn’t make any sense to me because if these guys are adopting the Daesh flag, they’re seizing territory, they will connect with the center, as we’ve seen happen in Libya. So that’s going to happen if that dynamic continues unabated. It’s not particularly hostile—I mean, it’s not particularly hospitable ground for them, because there’s a huge amount of resistance from the traditional, if you will, Taliban. But it’s happening. And it’s happening before our eyes. And that is why, indeed, this is not just—this whole effort is no longer just about Afghanistan or South Asia. It is really about one part of a much bigger problem that extends all the way through the Middle East and into Africa now. And that’s why finding a way to prevail in Afghanistan is so important now for us, because it is now part of this broader struggle with Islamic extremism, most horribly evinced now in the form of Daesh. GROSSMAN: Good. Thank you very much. We’ve just got a few minutes left before we open it up to members’ questions. That’s an excellent segue, it seems to me, into, so, what is there to do? So let me start with John Allen, go to Mary Beth, and then Jim. Sort of what’s your recommendation here? ALLEN: Well, we stop for the remainder of this administration any draw down. And we consider, working closely with NATO, working with Afghanistan, to do an objective evaluation of the operational environment to determine the kinds of forces that will be necessary, to include if possible—if necessary, even more forces coming into stabilize the situation, because if we don’t get the situation stabilized, we have several things that are going to be very difficult. There’ll be no peace because, as Mary Beth said, and I think we’re actually in quite good agreement on this issue, there’ll be no peace if there’s no incentive for the Taliban to come, ultimately, to the table. They won’t come to the table as long as they believe that they can win. So staying for the—in the right numbers, in the right locations, and effecting the right kinds of training, advising, assisting, and special operations, along with our NATO partners and the 50 nations that are involved in this entire effort, is critical ultimately to a long-term, sustained support to Afghanistan. So that process needs to occur right now. And what I would propose is, given the things that this administration has done, which is to slow the timeline and actually, quite helpfully, to fund the Afghan national security forces out beyond what we had initially anticipated. Let’s leave to the next administration that kind of strategic reevaluation, not just with respect to the security aspect of it, but our long-term policy goals as well, which I believe has to be pushed out. And I believe Daesh changes the dynamic here. Having just come from dealing with a coalition of partners—66 now, the 66th being Afghanistan—it’s very clear that Afghans as people and the Afghan government are deeply concerned that they now are fighting on multiple fronts against multiple opponents. And we have to account for that. GROSSMAN: Imagine for a second, though, that you’re the president’s speechwriter. And he says to you, that’s good. But how do you message that to the people of Afghanistan, which is to say: Oh, everything’s on hold for a few months, but don’t worry, we’ll be back. ALLEN: We’re not leaving. The point is, we’re staying at what we have so that we can objectively evaluate the environment in which we find Afghanistan today and find Afghanistan in the future, to give us the opportunity to ensure that the commitments we make as a nation make sense given the importance of Afghanistan to the region, the importance of Afghan security to us as a nation and our coalition partners, to ensure that we have the time and the white space to halt a process that might otherwise have continued along a path that could be not in—not linked or not fully relevant to the operational environment. I think the Afghans would be very pleased to hear that message, that we’re going to take a full-blown re-look at not just the military strategy, but the political strategy, of which the military strategy would be one. LONG: I totally agree with the general. But I would take a couple of preliminary steps. I think we need to be a little bit more honest with ourselves and decouple politics from Afghanistan. The fact of the matter is, that while we’ve had a train, advise, and assist program in operation for a number of years, with a growing number of coalition partners, as recently as a few months ago two-thirds of the Afghan units at the corps level didn’t have any embedded mentors. That’s just a fact. And that was with the numbers staying where they are today. On the other hand, we haven’t had mentors for a while at the deployed unit level, the Kandak level, at the pointy tip of the spear, where the Afghans need it most. Our current plan does not maintain the counterinsurgency capacity, the air support and other support that we will need, the intelligence, the basis through which to offer that support in the out-years—doesn’t maintain them in place. So whatever our articulated strategy is, it’s not been effective and it’s certainly insufficient. And we just need to admit that among ourselves. Secondly, while we do have a coalition there, and it’s been a coalition that’s been in place for some time, give or take around the edges, it’s not been sufficient—it just isn’t. And while it’s a reason for optimism to have NATO there, et cetera, because of enduring caveats, limits on capacity, limits on use of capacity beyond particular areas, we still have sustained problems. And if we’re going to have a national strategy, which I know John and I very much support, it’s got to tuck itself into NATO. And there has to be significant recognition. The president recently said in his very, I think, wise decision to maintain our presence, that Afghanistan is a critical national security interest of the United States. Well, if it is, then you have to go in with the ability, the willingness, and the capacity to make a defeat a defeat. You can’t go around tinkering on the edge. And the substantial but moderate maintenance of numbers, I don’t think there’s anyone on the planet that thinks that those are capable of sustaining the current situation, not even to mention advancing and giving the Taliban a real fight. The one great thing about Afghanistan, and I’ll stop here, is that in all the other conflicts, in ISIS, et cetera, we have a real difficult time finding an on-the-ground, willing partner. That is not the case in Afghanistan. We not only have an on-the-ground willing and growing capable partner, but we’ve got the coalition. You can’t get a better scenario than Afghanistan. It’s not what we’re facing in Syria and other places. Yet, we have failed to utilize it and to capitalize on it because of our decision making. And we’ve got to get better than that. GROSSMAN: Thank you. Jim, you’ve got the last word before we go to members’ questions. CUNNINGHAM: Oh, dear. I’m glad Mary Beth just mentioned the point that is extremely important, which is the Afghanistan as a partner, not just in the fight against terrorism, but also as partner with us in a way, with this government that, shall we say, was not the case during the end of the previous administration. That’s another strategic asset that we didn’t have a couple of years ago, and we need to be smarter both about using it, but also—but also realizing what a setback that will be for us if that partner doesn’t succeed, particularly if it’s at the hands of the Taliban and Daesh, both claiming credit for having brought down this Islamic partner of the Western world. That’s a very scary thing to contemplate. So a couple things that I—that I think we collectively need to do, and hopefully that this administration would take on board some of. The first is, agree completely, no further reductions, maintenance of the status quo, in both intelligence and military assets. And leave the options open for the next administration. The last thing this administration should want to do is leave an Afghan crisis on the desk of the incoming president, whether it’s a Republican or a Democrat. We have much better—we have much bigger strategic things to focus on, and that’s the second point. We need to start having an honest conversation about the threats that we’re dealing with across the Islamic world from this distorted, violent version of Islam, which is manifesting itself in Afghanistan and in Syria, and Iraq, and many other places. We haven’t had that—not just in the United States, we in the so-called Western world haven’t had, and don’t want to have, that conversation. But I have believed—I was the acting representative to the U.N. on 9/11. I saw first-hand the damage that was done there. And I briefed my—met with my staff the next day. Everybody was shaken. And I said, look, what happened here yesterday is going to affect the way that we do business around the world for at least a generation, and maybe more. And we need to start thinking about the challenges that we face in Afghanistan and these other places in those terms, because Americans don’t like long-term problems. We like short-term problems that can be checked off. But that is not what this problem is. We can pretend that it, and we’ll continually fail, or we can start thinking about it in a different way and increase our possibilities for success. And the third thing is, in addition to making our military presence clear, and to expanding the authorities for our military commanders so they can act with more freedom on the ground, which they desperately need, we should also say flat out, in a declarative sentence, that as long as we have an Islamic partner in the government of Afghanistan, we are not going to allow that partner to fall to the Taliban—period. That’s what I think our goal should be. And that will provide the kind of clarity that we need to start affecting the calculations of our adversaries. GROSSMAN: Good. Thank you very much. Well, I make it about 1:15, which is now my job to open the floor to questions from members. I’ve got a couple of reminders. Reminder number one is, if you haven’t figured it out so far, we’re still on the record. And that applies to you as well. There are microphones around, so if you put your hand up, I’ll call on you, and someone will bring you a mic. You want to speak directly into it. And we’re looking for concise questions so we can take as many as possible. Way in the back first. Identify yourself and ask your question. Q: Thank you. Elise Labott with CNN. Thank you for a very interesting session. I’d like to go back to something that Vice President Biden used to ask when he was, you know trying to help shape what the U.S. would do. He would repeatedly say: What’s the U.S. national security interest in Afghanistan. And I’m wondering if you think that even though we’ve been talking about the kind of lack of political will and vigorous response to the reemergence of the Taliban, whether you think that now ISIS or Daesh is a national security interest of the U.S. that could see the United States getting back involved. Of course, it’s not the reason that the U.S. had wanted. And what is the incentive for the Taliban to negotiate, if they think that its members would just go join Daesh? Thank you. GROSSMAN: I think you’ve heard from everyone here that the Daesh question is paramount, and perhaps become even more so, and that the Taliban doesn’t negotiate unless they realize that they can’t win militarily. But, Mary Beth, why don’t you talk about Daesh for a minute, and then, General Allen, about the Taliban again, just to reinforce those points. LONG: Sure. Well, certainly the Taliban, al-Qaida, I think there’s even some evidence that al-Qaida is rebuilding some of its training facilities, et cetera, in Afghanistan, and separate from that Daesh, or ISIS, are certainly—I don’t think even the president disagrees—are national security threats. I think one of the interesting things in Afghanistan is the internal messaging and internecine fighting, not only within the Taliban, but between the Taliban and al-Qaida with ISIS, and the competing narratives there, which I think can give us opportunities, frankly, for really going after and separating those two bodies from one another, and taking them down respectively. I think one of the problems with Pakistan, though, and Pakistan’s involvement—I mean, let’s be frank, Pakistan has been an integral player from the beginning. We have tried over the last decade to get Pakistan to be more assertive regarding the Taliban. They simply haven’t. it’s unclear whether ISI is so disconnected from the central government, or Pakistan writ large is disingenuous. But if I were Pakistan, and I were looking at Daesh growing in Afghanistan, I would double down on the Taliban, and the Taliban working with al-Qaida, to give ISIS a run for its money. I think that’s at least one of the things that they ought to be thinking about. And we have not yet been able to, I think, counter that narrative or counter that possibility in getting Pakistan to line up. But, yes, clearly all three of those groups, but particularly ISIS and al-Qaida, because of the save haven possibilities, represent a critical threat to the U.S., from Afghanistan or anywhere else. GROSSMAN: John, you talked a little bit about platform. ALLEN: Well, I think the U.S. interest in Afghanistan is—it ought to be self-evident to those of us who either have served there, or ultimately have to deal with the reality. And that is, a stable Afghanistan creates the platform for greater stability in the region. An unstable Afghanistan, in particular with respect to Pakistan, creates the greater likelihood for instability in Pakistan. This is why, as you say, and there are other people in this room that have dealt with this as an Af-Pak issue, there are aspects of the security of Afghanistan which are inextricably linked ultimately to the outcome of Pakistan security and the reverse. There was a time when I believed that ultimately all aspects associated with peace would have to pass through Islamabad. I’m not so sure of that anymore. And that the peace process, if it’s properly supported by the West, Afghanistan is properly supported both in a political sense, economically, and militarily, we can create the conditions with the appearance that we’re both going to stay and that Afghanistan has a future, that can create the opportunity for a constructive peace conversation, which in the end could provide for the greater stability of Pakistan. So it’s a—the idea of Afghanistan being a platform for greater stability in the region ought to be at the heart of our long-term policy with respect to how the United States is going to deal with it. GROSSMAN: Jim, would you like to comment? CUNNINGHAM: As I said earlier, I think we have to, in terms of describing U.S. interests in Afghanistan, we need to be clear in our own minds, and clear with our publics—and I hope that this kind of discussion will help that function—that we don’t have the luxury of dealing with the—with individual problems as if they were separated from the rest of the world. And we tried to do that—tried to do that, frankly, in Afghanistan. And we’ve tried to do that in Iraq. And we’ve tried to do it in other places. They are now—they are now and will be inextricably linked with each other. And what happens in Afghanistan is not just a factor any longer in Afghanistan, and South Asia, and in this relationship with Pakistan. And, by the way, I agree completely with John that a destabilized Afghanistan is a very, very dangerous thing with regard to Pakistan’s future. It’s something that I wish we could convince the Pakistanis of. But we need to—we need to realize that we have a broader stake here, and simply in Afghanistan itself, which in and of itself is already considerable. And that’s something that I hope that all of us who are engaged in Afghanistan around the world will take onboard in the coming year or so. GROSSMAN: Good. Thank you. Other questions? Yes, right in the center here, yes, sir. Behind Judith. Judith, I’ll come to you. Q: Thank you very much. My name is Jay Hallen. I work at BlackRock. And my question is, Marc, you made an interesting point earlier. You said to General Allen, if I were a speechwriter, what would I say to the Afghan people? My question is, if you were a speechwriter, what do you say to the American people? If I’m the average American voter, American taxpayer listening to you up in the stage, you’re all saying we need to deepen our commitment and stay there longer, and I don’t question your judgment, because I know you’re on the ground and someone like I am not. I did work in Iraq for a while. I’ve never been to Afghanistan. But how do you convince the American people that this isn’t just going to go on indefinitely, that we’re not throwing good money after bad? I guess, why should there be political will after 15 years to keep going? And General Allen, you mentioned you wanted to get to a point where the Taliban knows we’re not leaving, so they’re willing to sit down and, you know, some kind of surrender-type agreement. But I guess just speaking for the average American, why hasn’t that happened over 15 years? And what, you know, assurance is there to keep going that, you know, there is a potential favorable end in sight? Thank you. GROSSMAN: Very good. Thank you. Let me go right down the path here. ALLEN: Well, I think the American people are very interested, ultimately, in their national security, which is one thing, I think, that we can make the case in a direct-line relationship, an unstable Afghanistan in the hands of extremists generates things like the 9/11 plot. And I’m not proposing that we’ll have another 9/11 plot, but what I’m proposing is that an unstable Afghanistan, where large segments of the country are not controlled by the central government, or have no—there is no reach of the central government into those spots, those become very difficult areas to control. And our national security, the national security of our partners, and the stability of the region in many respects are going to be defined by that. We need to be able to spend enough time in Afghanistan to give the Afghan national security forces the capacity to deal with the Taliban themselves. And we knew this as we were drawing down, that a very important part of our having been the lead for fighting for some number of years was a credible turnover of the operational lead in that war to the Afghan national security forces, which included a kind of a credible Western tail to that investment, which put the 130-or-so-thousand troop investment, the numbers of thousands who have been killed and the billions that have been invested—putting enough into that over the long term to ensure the stability of Afghanistan. The precipitous departure of our security forces, that were there to continue to increase the professionalization and the professionalism of the Afghans, in essence pulls the rug out from under them at the very moment they need it the most, which is to create a political stability and economic viability, at the same time we create or continue to build the security platform that gives them the capacity over time to defend themselves. This is the reason we have to fully and realistically and honestly evaluate the operational environment and describe that to the American people. I think the American people are very understanding of it. You know, we’re dealing right now with Daesh. Daesh is expanding around the globe. And they have made the judgement that the stability of Pakistan and Afghanistan are such that they can put down a province there to accomplish their objectives. We have to defeat that at the same time we defeat the Taliban. And a long-term presence that continues the professional development of the Afghan national security forces will go a very long way to do that. And it doesn’t require tens of thousands of troops, but it does require a credible presence. And I’m not sure that presence now is credible, given the operational environment. And drawing it down in the short term to some very small number I think is not credible. And the Afghans are going to be spooked by it, and the American people are going to be surprised by the attack that comes someday. Q: Well, it’s the answer, I guess, that I thought would be. And I get the national security challenges. I guess, yeah, it’s just, how do you convince the public after 15 years that this is still a war worth fighting? And I know that for 15 years the message to the public has been, you know, it’s national security. I guess in the era of ISIS, which is more Syria, Iraq, Libya, not Afghanistan—look, I’m not questioning strategy judgment, I’m just trying to see how do you sell this to the people, especially in an election year, you know, saying that we should—we should stay longer and spend more? GROSSMAN: Absolutely right. Good. OK, thanks. Jim. CUNNINGHAM: So I wanted—let me respond to that by going at this issue a different way. So we had 14 people killed in San Bernardino by two people who were inspired by violent extremism. And in response, if you can believe the polls, 75 percent of the people who voted in the South Carolina primary recently believe that we should deny Muslims entry into the United States. What do you think the reaction is going to be if there’s anything approaching another 9/11 attack in the United States? I think it’s going to be extremely negative and long term. And if the American people are reacting badly to the idea of doing what we can do in an area where we have a strategy and presence to prevent that from happening, I think their reaction to our failure to do that and a resulting attack on the United States or elsewhere in American interests will be even more negative. And I worry about that a great deal. We should all be worried about that. We need to find a way to deal with this threat. And so maybe—you know, maybe we don’t have all of the exact answers here today in every detail, but we need to start thinking about the threat that that kind of danger poses to our society and our values and our way of life. To my mind, that’s what this is about. And that—you know, that is a challenge for which we are not well-prepared. And we need to prepare ourselves for dealing with it. GROSSMAN: Mary Beth and then back to questions. LONG: I’d adopt everything they say. I want to address this 15-year perception, or 10-year, or 12-year—however you want to characterize it. And I think we’ve done the American people a tremendous disservice by pretending that this has been a sustained effort for that period of time. The fact of the matter is, if we take one thing away from Afghanistan it is that you can have an inadequate force, an inadequate capability for 15 years or 55 years, and if it is indeed inadequate to the task, the length of time does not overcompensate the fact that you cannot achieve what you were—they are saying you were attempting to get done. There were two, three critical periods in which we stumbled and let Afghans and Afghanistan stumble. One was when a tremendous amount of the resources were not allowed into or not directed at Afghanistan, and were seconded and moved over to Iraq because of other fights there. Let’s just be frank, it happened. And we became exceptionally limited on our ability to project power and to shape events on the ground during that time period. The second real blow to our presence was announcing a withdrawal at the beginning of this administration where, frankly, even if we had had maintained enough in place, that so undermined our presence and capability that I’m not sure it was recoverable. And that was at a critical time, right after another strategic review. And while we need a strategic review, if I were an Afghan I would say, been there, done that. And frankly, what happened in the last strategic review, we got hit with even less resources. So there’s going to be some trepidation there. But we ended up diminishing our presence. Right after we transferred the physical presence of the coalition participation to NATO, after 90 days. We would never have done that in a real military situation. NATO was struggling having the territory that it was holding. And then we expanded it to the entirety of the country, which significantly undermined our presence. And then, frankly, the mantra of this administration, despite the initial discussions about how this was not the war of choice, this was the war that we had to sustain, has been diminish capacity, diminish role where we, I think objectively, can say that our roles and our capability on the ground are incapable of even the limited mission that we all articulate. So what really should be the message to the American public is: This has been 12 to 15 years of presence on the ground. We dropped the ball, so perhaps maybe half of those years have been adequate to our task that we gave ourselves. And the lesson learned is these kinds of conflicts take a long period of time, and 15 years with not feeding them enough capability, presence of mind, and political will is not going overcome the fact that you don’t have the right resources. Even if you have the best of partners, we need to double down. Q: Thank you. Judith Kipper. Maybe we should tell the American people that the Iraq War was maybe our biggest catastrophe ever and that we’re going to pay the price for that for a long, long time, and we’ve already paid in treasure and blood. It gave us ISIS. It disrupted an unstable status quo across the region and made the whole thing more virulent, vicious, violent than it might have been otherwise. But getting back to Afghanistan, is it really possible to do what you all recommend—and I haven’t heard anybody talk about economics or politics, but mainly military—to stabilize Pakistan without dealing—to stabilize Afghanistan without dealing with Pakistan? Pakistan has been playing a double game for as long as any of us can remember. It is the second- or third-most-corrupt country in the world. It has 30 percent literacy. It’s a feudal state. Why do we consider Pakistan an ally? Why are we protecting Pakistan and putting their dirty work in Afghanistan, which has hurt Afghanistan and the U.S. and the allies so much, under the table? When are we going to deal with the real problem? GROSSMAN: Well, I think Jim talked quite a lot about Pakistan. CUNNINGHAM: I was going to invite you to address that subject—(laughter)—since you happen to have had responsibility for Pakistan. GROSSMAN: Well, I—you know, I think that the points that Jim made are really important, and the points that John made as well. One, there’s a reason that policy is secure, stable—secure, stable, prosperous Afghanistan inside of a secure, stable, prosperous region. Which is to say that the argument that needs to be made to Pakistanis is that, no, the policy that you pursued for so long, which was chaos in Afghanistan was good for you, is not right, and that the only thing that’s good for you here is some kind of stability in Afghanistan. And I think—and although we didn’t talk about it yet, I’ll just raise the question—you know, I think one of the issues for Pakistanis is—something they have to decide for themselves, but my observation is, is that they have to start considering the TTP to be an existential threat to Pakistan. And if you’ll consider the TTP as an existential threat to Pakistan—and maybe they’ve begun to do so; as Jim said, activities here, activities there, rhetoric slightly changed—if you consider TTP to be an existential threat to Pakistan, then how you think about Afghanistan changes. And that’s a conversation that we need to continue to have with them. Q: (Off mic)—that line for 15 years. Q: We’ve got to play hardball with Pakistan or don’t, and we just keep pretending that they’re—(off mic)—guys and they are really an ally or—(off mic). GROSSMAN: (Chuckles.) John, I’ll give you—General, then we’ll move to another question. ALLEN: Well, Pakistan can be part of the solution or it can be a huge part of the problem. As long as I was the commander in Afghanistan, the great challenge that we had were the safe havens in Pakistan. On any given day, either the ISAF forces and eventually the ANSF could handle the Taliban. But the ability for the Taliban to regroup each year in a safe haven and come boiling out of the mountains every spring, refreshed and replenished, made it extraordinarily difficult. You know, in the—in the end, though, once Daesh has put down roots in this area and once the TTP become even more virulent, this is a direct and existential threat to the Pakistanis as well. But we have to—we have to maintain a relationship with the Pakistanis. It has the fastest-growing nuclear arsenal on the planet. And we simply cannot dismiss the fact that Pakistani stability is in our interests as well. So the relationship we have with Pakistan has to acknowledge that, and the idea that Afghanistan being stable contributes to Pakistani stability is, I think, an important realization for our strategy overall. I don’t have to like what they do. I don’t have to like the fact that the areas within the FATA becomes a safe haven for replenishment every year so that we fight even harder in the spring. ’15 was a bad year for the Afghan National Security Forces. ’16’s liable to be just as bad or worse. It’s the worst possible moment for us to be drawing down our commitment in that area. We’ve got to be—as, I think, Mary Beth said, we’ve got to be prepared to demonstrate unequivocally to Pakistan and to the Taliban, and to Daesh now, and to the Afghans, that we’re in this with them for the long haul, because a destabilized or an unstable Afghanistan that is under direct assault by the Haqqanis, who are waging strategic warfare out of Pakistani territory against the central government of Afghanistan, that’s unacceptable. And we’re going to stay in Afghanistan as long as that’s the case. And if Pakistan doesn’t desire to be a partner with us on this, then the snake is going to bit them as well. And this is—this is why we have to have a relationship with the Pakistanis. We can’t permit this relationship to go because of the global implications of a destabilized Pakistan as well. LONG: I don’t disagree, but I’m very sympathetic to your frustration. The fact of the matter is, we have been attempting to make this argument for even more than 15 years, and we have been unsuccessful, as far as I’m aware, in changing the Pakistani calculus. To the expect—to the extent, excuse me, that the Pakistani calculus has changed, it’s moderately changed to internal threats in specific areas. I have not understood it to change vis-à-vis Afghanistan at all. And I do think that Pakistan has convinced itself—and we have not persuaded them otherwise, and I don’t think the ISIS argument—I hope it does, but I’m not persuaded it will. I believe that Pakistan, deep in its dark heart, particularly the ISI, believes that an unstable Afghanistan is in its best interest and a stable Afghanistan run by the Taliban, or in which the Taliban has significant voice, is in its best interest. And to the extent that ISIS is a threat, they’re pretty convinced that the West and the Afghans are not going to be able to do anything against ISIS. The best hope of containing ISIS to the north is a linkage between the Taliban and al-Qaida. And that’s when I said I see them doubling down. So I’m not optimistic. I’ve seen many a politician and a commander speak to the Pakistani politicians and get demonstrations of their willingness to deal with us. The general is exactly right: it is the fastest-growing nuclear arsenal. We cannot not be an ally with Pakistan. But I do think we have a(n) incredible ability to not—well, frankly, to underestimate the willingness of Pakistan or overestimate the willingness of Pakistan to make a chance vis-à-vis Afghanistan. It’s almost—for me, it’s almost the equivalent of the Pakistan-India dynamic. It’s just so old and so rooted in things that we won’t understand that we’re just—we’re not being successful. GROSSMAN: Another question. Yes, sir. Q: Oh, thank you. Richard Downie from Delphi Strategic Consulting. Thanks for a very interesting discussion. Q: But given the fact that the Obama administration really had the objective of withdrawing and moving out—drawing down and moving out, I just wonder, how much would have changed had the Karzai administration been a willing partner? Would that have mattered at all? Thank you. GROSSMAN: Mary Beth, why don’t you take that, and then I’d like Jim’s perspective on that before I turn to John Allen. LONG: Actually, I try not to collapse the concept of willing partners into a specific person in leadership. My perception of the Afghan institutions—the military, the MOI, the intelligence services—pretty much throughout the Karzai administration was a willing partner. We couldn’t have had a better partner, certainly through 2010 and 2011. Did we have some serious problems with Karzai from the get go? Oh, goodness. And it—I think most of you know it was a weekly SVTS with the president to bring our partner back onto the reservation. For those of you who know Afghans, I mean, there’s a tremendous amount of cultural engagement that you have to do. Did Karzai go off the rails at the beginning? I would—I would not dispute that. But I’m not clear that that undermined them as a partner. It certainly left things very much in question. And I don’t think we helped ourselves at the beginning of that transition period to sort of get through that transition, not unlike in some other places. So would it have made a difference? Absolutely. Karzai really undermined, I think, himself and his country, and the U.S.’s commitment to move things ahead. Was it insurmountable? No, I don’t think it was. CUNNINGHAM: I agree it wasn’t insurmountable. And I used to have to remind myself and my colleagues in Washington—and John and I occasionally—that when we were negotiating the strategic partnership, for instance, that our strategic partner was not Hamid Karzai, it was the Afghan government and people. So it wasn’t—unfortunately, he was able to stamp his visage on Afghanistan in a rather unique and difficult way, particularly at the end—at the end of his—at the end of his administration, when the—he turned the Afghan government, or he tried to turn the Afghan government, to his will in making it an unwilling partner of the United States. That approach was rejected by the Afghan people at the loya jirga, which overwhelmingly endorsed our Bilateral Security Agreement that he refused to sign, which was a real demonstration that there is a partnership there, and a partnership that the Afghans themselves—even the most conservative Afghans—overwhelmingly supported because they are pragmatic, realistic people. So I always thought, actually, that we were building a partnership with the Karzai government and with the Afghan people, and I think we could have done that. He threw obstacles in the way of that process and in terms of concluding our partnership agreements because he came to the view that he could use that as leverage in our relationship. And that was a very unfortunate mistake for which Afghanistan is still paying, because that was the beginning of creating this very long period of uncertainty that Afghanistan has gone through, generated by things that Karzai and the Afghans did, and generated by our own hesitancy in clarifying our commitment to our—to our part of that security partnership. ALLEN: When I—when I arrived in Afghanistan on—in July of ’11, I felt as though I had a pretty good partner in Hamid Karzai. I would say a couple of things. One, one of the pieces of advice that was given to me by one of our ambassadors, who had been a long-serving diplomat in Afghanistan but also an observer of the country, was that if we had listened more closely to Hamid Karzai earlier in many of his positions on issues and had taken action when he initially raised those issues with us, we, A, would have probably solved the problem early along with much less requirement for resources, and frankly, the blood of our troops in common; but we would also have kept him, in a sense, in a position where he sensed himself to be a partner of ours. The fact that there were four ISAF commanders in slightly more than four years in Afghanistan, each with their own orientation and their own guidance from the White House across a couple of administrations, or the residue of a couple of administrations, it made it very difficult for him to keep a common vision on where he wanted to go. As we moved from the Strategic Partnership Agreement towards the Bilateral Security Agreement, which would secure a Western presence for a very long time, he became very difficult to deal with because his sense was that this was not going to end up being on Afghan terms, and that he would be perceived in the end as having been the leader in Afghanistan who sold our Afghanistan to the West. Truth-wise, many of his—many of the members of his government, if not most of the members of his government, were actually quite willing to work closely with us and quite cooperative. And not cooperative at the expense of Afghanistan; cooperative in the sense that they had a strategic vision that the presence of the West was good for the governance of Afghanistan, for the rule of law, for the rights of women, for the security of the country to stabilize and take advantage of the economy. And many of them worked with us very closely, not just in the security portfolio but across the board, in spite of the president and not because of the president. And it was in the end where I think his final vote was in refusing to sign the Bilateral Security Agreement, and it goes back to Jim’s point. We frequently had conversations with Washington that the future of Afghanistan cannot be decided based on our view of Hamid Karzai. It had to be decided based on the interests of the United States in common with those of the people of Afghanistan over the long term. Which is why it’s—it is that we now have a partner in the palace. We now have partners in the CEO and the president. We now have willing partners among the Afghans, but we also have a Taliban ready ultimately to drive a stake through the heart of our Islamic partner in Central and South Asia. And it is essential that we preserve the stability of Afghanistan and give it the capacity to get up on its feet. Let me just make one final comment. We started off by acknowledging the diplomats and the military and the other Americans and our Western partners who were serving in Afghanistan, and we acknowledged their sacrifices. Let me just remind a couple—again, the faces that were in my command in Afghanistan. Every Sunday morning, we formed in front of my headquarters and we had the flags arrayed of all of our troops who had been killed in action that week. And we would read the name of the American or the Brit or the French, and right down the line of all of our troops that had been killed that week. But we always had the Afghan flag out there. And no matter how bad the week was for us, tens of Western casualties dead, there were always five to six times as many Afghans who had been killed that week. And so I—in conjunction with your initial comment, Marc, I would also like to say that as we think about what do we do about Afghanistan, that we consider their sacrifices. They are fighting and dying by the scores across that country every single day. They want an Afghanistan that is stable. They want an Afghanistan that is not corrupt. They want an Afghanistan that will ultimately look out for the interests of this young generation of Afghans who didn’t—weren’t part of the mujahedeen era, who didn’t fight the Soviets, who can barely remember the Taliban and the civil war. They look to the future, they look to the United States, and they look to the West to give them that future. The Taliban are a dead-end street for them. We’ve got to support them to have that future. GROSSMAN: John, thank you very much.